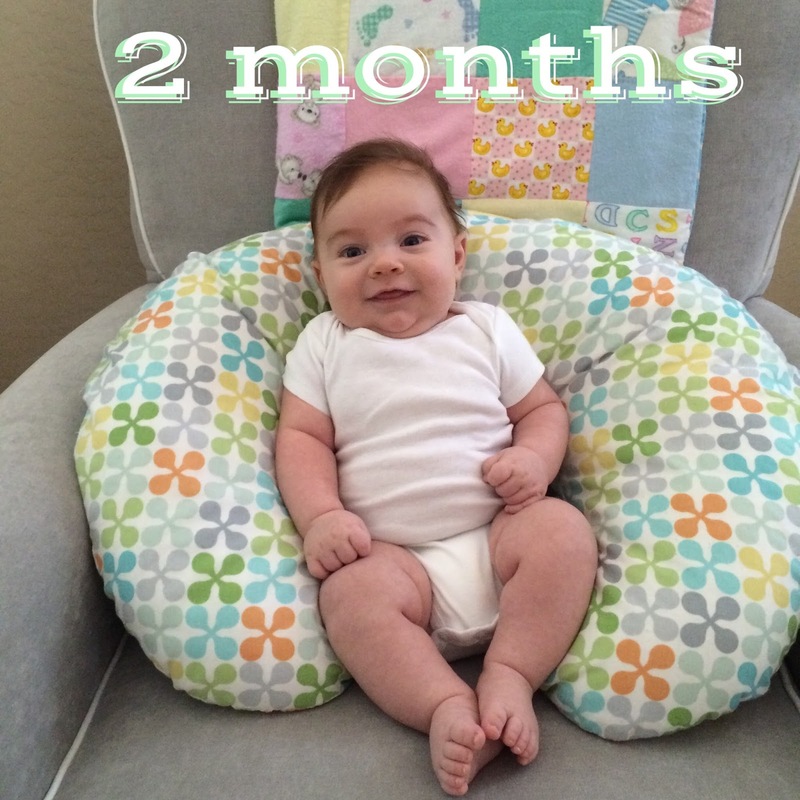 Lucas is officially 2 months old!!! We just had his check up and of course he had rave reviews!! Head Circ: 39.4cm (36th%ile) PS.this percentage no longer means anything to me… his head looks normal! Clothing: 3 month clothing all the way! We love our little chunk! Sleeping: 2-3 naps a day and a good long stretch from 9-2am then a 2 hour sleep, another feeding & about 3 more hours of sleep.